Using multidisciplinary approaches, the Eng lab identifies and characterizes genes that cause susceptibility to inherited cancer syndromes, determines their role in sporadic carcinogenesis and performs molecular epidemiologic analyses as they relate to clinical applications. Using this framework, the lab examines PTEN and SDH in Cowden syndrome, which has a high risk of breast, thyroid and endometrial cancers, and SDH-related heritable neuroendocrine neoplasias. The lab examines PTEN, encoding a dual specificity phosphatase on 10q23.3, in Cowden and other hamartoma syndromes, as well as in isolated cancers. The lab pursues diverse mechanisms of PTEN inactivation for various sporadic cancers, including those of the breast and thyroid. Eng lab researchers explore gene-gene interactions and gene-environment interactions as relevant to ultimate clinical outcome. As such, a major focus of the Eng lab is to utilize multi-disciplinary approaches -- genomic modifiers, immune, microbiome, interrogation of cell fate and cellular phenotype, mouse models, etc.-- to dissect the mechanism of PTEN alterations leading to cancer predisposition or to the seemingly disparate autism spectrum disorder. This aim of this fundamental research is to not only resolve the mechanism, but also to identify novel targets for therapy and prevention. An average 10% of all cancers are due to strong alterations in genes that predispose individuals to multiple cancers, often at young ages, and that can be inherited and passed on to their children. Everyone is born with genes, whether “good” ones or “bad” ones. Scientists estimate that an individual is born with an average of 6 “bad” genes that predispose to serious illness, such as cancer. The Eng lab carries out patient-relevant research to increase genetic and genomic information resulting in intimate knowledge of human genes, which allows the creation of a roadmap for prevention and can lead to graceful aging. The Eng lab’s cancer genetics and genomics research fulfills the adage “Knowledge is Power,” empowering patients to promote health and well-being for themselves and their families. 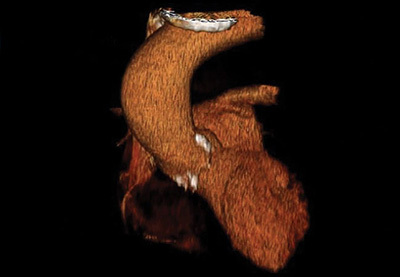 Noninfectious aortitis is usually a result of primary systemic large-vessel vasculitis (LVV) such as giant cell arteritis (GCA) or Takayasu’s arteritis (TAK). 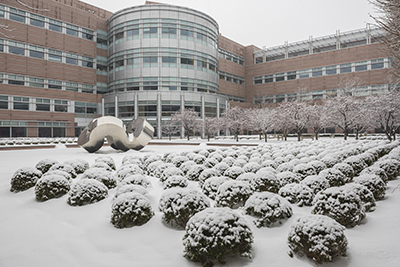 Cleveland Clinic recently announced the 29 projects selected for 2019 grant funding as part of the Annual Fund program, including five led by Lerner Research Institute researchers. 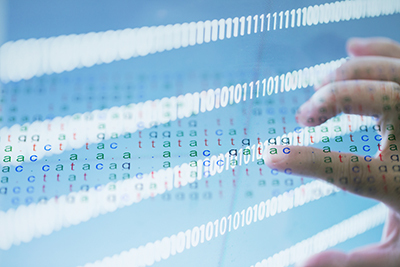 Thanks to remarkable scientific and technological advancements of late, researchers now have a deluge of sequencing data, which, with the right analysis, may help with the discovery and development of targeted cancer treatments. 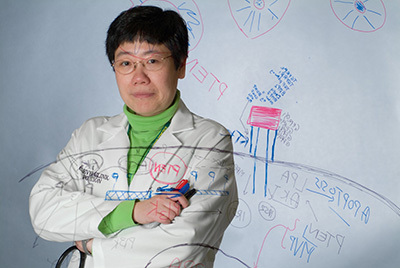 In a cover article published in Pharmacological Reviews, Cleveland Clinic’s Feixiong Cheng, PhD, Genomic Medicine, and collaborators review the current use of personal mutanomes in the discovery of modern oncology drugs, including therapies that are targeted to specific genomic or molecular profiles, as well as immunotherapies. 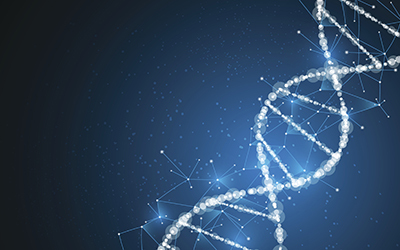 Recently, for the first time, the FDA formally recognized the process that led to curation of a public database containing information about genes, gene variants and their relationship to disease as a source of valid scientific evidence that can be used to support clinical validity in premarket submissions. Among the gene variants listed in this database are variants of PTEN, a highly penetrant cancer susceptibility gene. Charis Eng, MD, PhD, Chair of Cleveland Clinic’s Genomic Medicine Institute, has received the American Cancer Society’s Medal of Honor, the organization’s highest award. 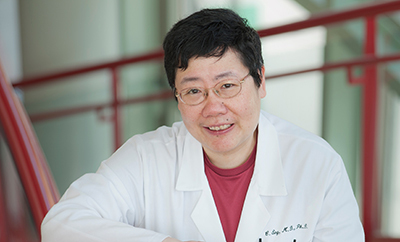 An internationally recognized physician-scientist in the cancer genetics field, Dr. Eng is among five honorees to receive the award at the ceremony in Washington, D.C. on October 18. 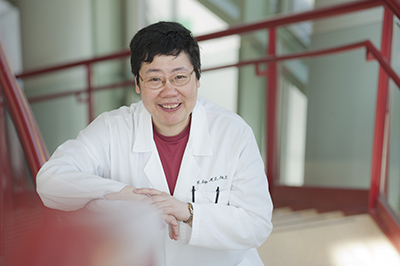 Charis Eng, MD, PhD, founding chair, Genomic Medicine Institute, and founding director, Center for Personalized Genetic Healthcare, received the 2017 Professional Achievement Award from University of Chicago. This award honors distinguished alumni whose achievements have brought distinction to themselves, credit to the university and real benefit to their community. In the decades since she earned her bachelor's, medical and doctorate degrees from University of Chicago, Dr. Eng has certainly accomplished this, and has an impressive list of professional titles, awards and groundbreaking publications to prove it. Clustered Regularly Interspaced Short Palindromic Repeats (CRISPR) is a gene editing system commonly used in research labs. Like an edit/replace feature for correcting misspelled words in a document, CRISPR finds errors, or genetic mutations, in DNA. Then, using an enzyme called Cas9, CRISPR technology edits the error and pastes correct bits of DNA at the site.